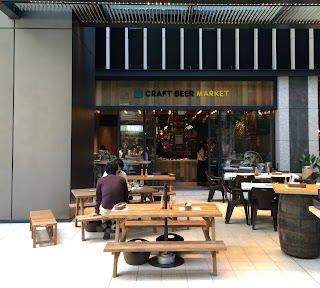 A brief post on the latest Craft Beer Market, this time in Otemachi. 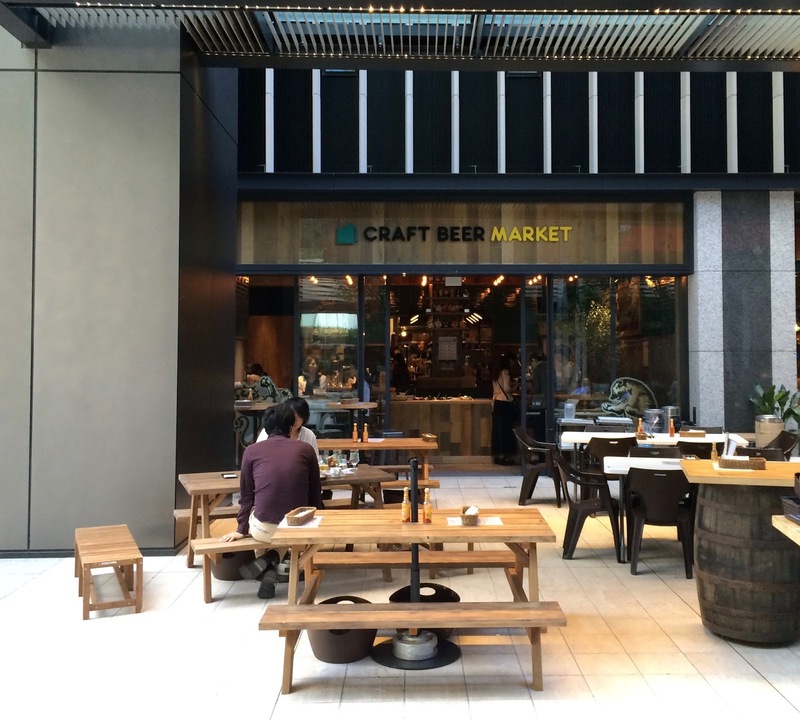 First, the stuff that I always write about Craft Beer Market branches. It has the usual 30 taps of cheap beer in the usual sizes at the usual prices. Most beers are served in two sizes 250ml (¥480) and 473ml (¥780). Barley Wines and stronger beers come in smaller serving sizes at the lower of the two prices. There is a ¥300 cover charge but this is easily covered if you have a few drinks as the prices are pretty cheap. Taplists for all the branches are updated daily on the CBM website. Otemachi naturally has the usual CBM decor, lots of wood and stone, and at lunchtime on a Friday it seemed to be very popular, so get there early or make a booking. So, what's different? Well, the food this time is Mexican. And there seems to be a lot less table seating here. I guess it's a little smaller than the other branches. Inside there is counter seating for around 20-25 people at the bar and along the wall. The outside is made up of a nice patio with plenty of seating. Not sure how much this will be used in Winter though! The cover charge doesn't seem to be applied at lunchtime. And also recently I've heard that tax is added at the end in the evenings (but not at lunch). I haven't been to one of these in the evening for a while, so I have no personal experience of that. Seems a bit weird though. Oh, and unlike some of the other business area CBMs, this one is open at the weekend, although only on Saturday and actually not on the first Saturday that I tried to visit it. In conclusion, it seems busier than other branches, the patio is a big plus in more temperate times and the food is Mexican. Think that's the stand out facts for this branch. It's closest to exit C1 of Otemachi station, but beware, Otemachi station has changes between lines that are over 500m, so it might be best to walk from another station if it's more convenient for you. If you've ever been to one of these bars, you'll know what to expect. If you haven't, I think it's best to start with Jimbocho or Koenji as these seem to be a little bit less salaryman heavy. I can't imagine many people would say that a Craft Beer Market is their favourite bar, but they certainly do the job if you're looking for some food and some cheap beers.